A series of hand crafted graphic design self-promotional pieces. This was a handmade self-initiated promotional piece that was mailed out to potential clients. The goal was to give a brief introduction of myself and showcase some of my design work. The goal of this project was to create a self-promotional piece for clients in Western Massachusetts. This end piece was hand measured, cut, taped, and typeset. Printed on a vintage table top Kelsey 5x8 letterpress and inkjet printer. 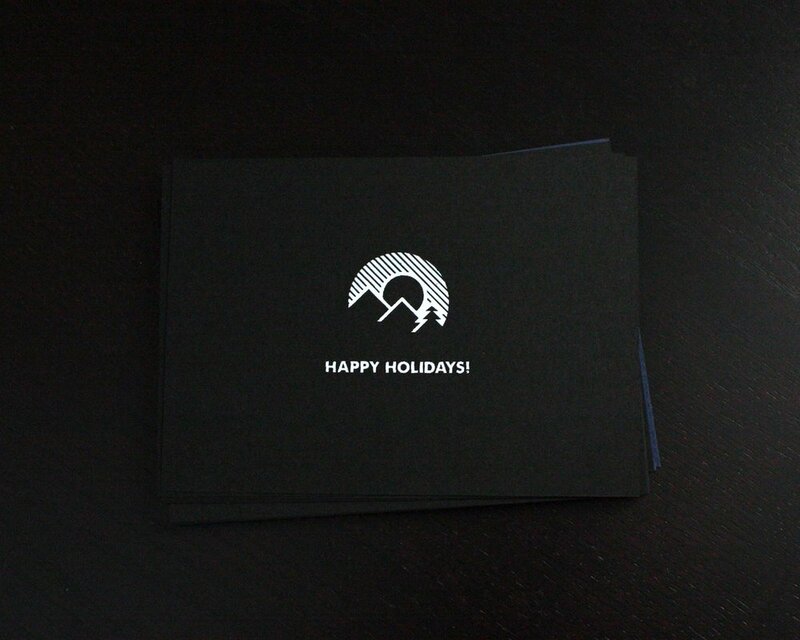 This holiday card was a special gift for family, friends and clients. I first sketched the idea, scanned, and then created it digitally. I prepared and burned a screen with the selected design. Once the screen was ready I printed the cards and personalized each one with a handwritten message. The paper used was a blue and black card stock paired with metallic gold and white ink.